Today’s job market is extremely tight, and qualified candidates are being snatched up faster than ever. The new applicant tracking system (ATS) mobile app from BambooHR Hiring was developed to quickly and efficiently let you evaluate the best candidates from your mobile device. According to Officevibe, the best candidates can be off the market in as little as 10 days. That doesn’t give you much time! The tightening job market is affecting businesses of all sizes. 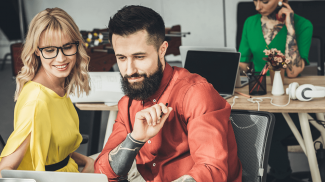 However, the impact on small businesses is greater because they have to compete with large organizations with potentially more resources to compensate the best candidates. So being able to make a decision and contact a prospect in a timely manner can give small businesses a fighting chance. BambooHR Hiring says it’s new mobile app will give businesses the extra edge when moving quickly. The ATS mobile app allows recruiters, HR professionals, and hiring managers to view all related materials about an applicant whether they are in the office or out and about. The app has an intuitive and responsive interface with a user-friendly application process designed to reduce obstacles for candidates when they apply for the position. On the HR side, you can create custom application questions to find the right candidate for each position. Once you find the candidate, electronic signatures and offer letters can be emailed to speed up the hiring process. 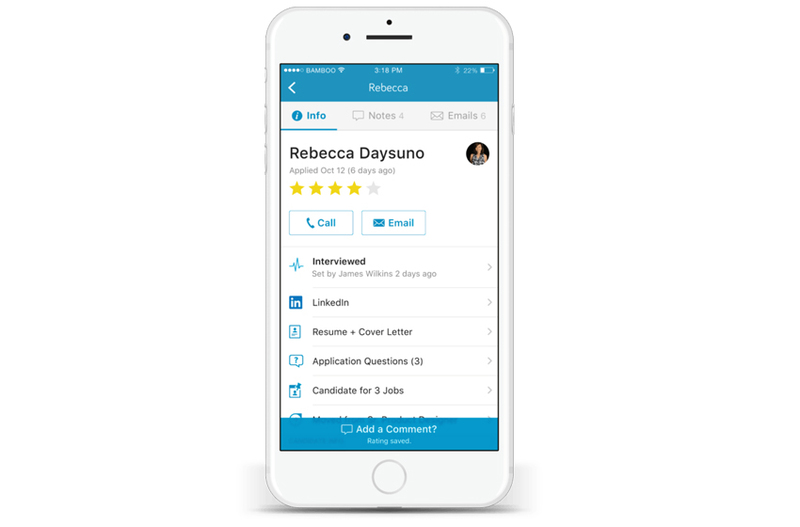 The app also has a feature which allows hiring managers to share job ads on social sites as well as free job boards like Indeed and Glassdoor. As a small business you might not have an HR department, so you have to do everything you can to optimize your recruiting process. BambooHR says its ATS Mobile app modernizes your hiring processes so you can communicate with your candidates on your mobile device as soon as they make themselves available. This means you can now check and update information from anywhere and get automatic notifications once an application has been received. The key is to quickly engage with your potential hire and show her or him your interest in them. And BambeeHR claims it’s new app can be a major part of this process. You can try the app for free or to learn more about pricing, check here. It is great that we now have these apps that allow us to see the details of applicants. That ability can really speed up the recruitment process especially if you are hiring a lot of people in a given time. Engaging is the first step to getting that hire. You need to connect with them and ask if they are interested. I think that it is not just about finding them, it is also about connecting with your potential hires and giving them an enticing offer. There are certainly a lot of strategies that go into hiring. 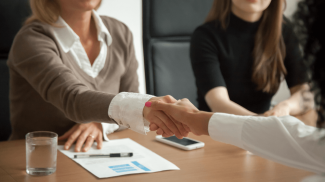 The more time your candidates have to get to know you, the more they can decide if it’s a good fit, so it’s not just a fast hire but a good hire.